Fleming’s Bond may have gotten in over his head in this Jamaican outing. After sufficient rest following a near-fatal wound, Bond is sent “on a holiday in the sun” to investigate the mysterious disappearance of his friend Commander Strangways (from Live and Let Die). This book serves as sort of a “reset” for the Bond character, miraculously surviving a fatal blow at the end of From Russia With Love. Bond is rusty, careless, and seemingly fed-up with his lot, but he grudgingly flies off to one of the last vestiges of the crumbling British empire, reconnects with his friend Quarrel and ruminates about the time that has passed since his last visit to the island. 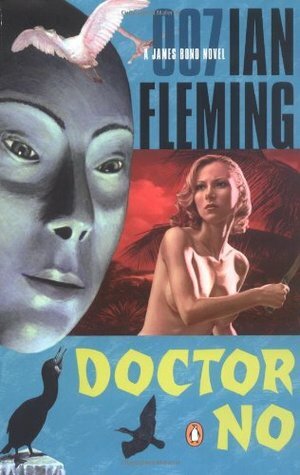 Dr. No is a love letter to Fleming’s Jamaica, replete with exquisite detail of the high and low societies of the tropical island where he spend so much time writing. Bond, like Fleming, grudgingly picks up his next job and re-familiarizes himself with the tropes that made him great. This is the return of the great adventure novel in all its swashbuckling glory–a mystery, a megalomaniacal villain, and solitary dangers to test our hero to his very core. The climactic battle, though, is not with the titular baddie, but with something even more typical of the genre (and done with a self-aware flourish) that serves as a new direction for the Bond series. It’s not the best in the bunch, but it’s certainly worth a read!